Job Description (JD) is an essential step towards attracting the right candidates or I should say, the top candidates. Does your job description stand out to attract top talent? Writing a great job description is a first step towards attracting top talent to join your company. A good job description not only attracts candidates but the right candidates. Writing a great job description is not easy. And no, you just cannot copy paste it from Google! Writing your own and unique job description will effectively communicate your company's requirements and available positions for applicants. You are a marketer. You want to sell your company and the position. The more you are clear about the skills you need in a candidate for a particular post or job, the more relevant candidates will apply for that particular job. And, this will save your time by weeding out the undesirable applicants. JDs that clearly define what a candidate would be actually doing in that profile or job are more convincing than the expectations displayed by the hiring managers or recruiters. This article outlines five effective ways to write a great job description that is clear, concise and accurately defines the need. The key to great job descriptions is to be real. Be honest about what the company does, what is the position all about and what the candidate will actually be doing. Be genuine and transparent. Keep the job title and summaries short and simple. The summary should be short and precise, not more than one to three sentences. You are pitching the candidate for the job, so keep it conversational. It is absolutely fine if you start it informally. Skills and competencies should be listed separately from each other, as they are two quite separate things. When specifying qualification, separate the minimum qualifications, and the preferred qualifications or “good to have”. Talk about the particular job and what it is like in your organization. Provide a link for the applicants to learn more about the job role. This gives the candidates insight into what they should expect if they were to work there. If you're trying to attract top talent, you should pay attention to your culture section. It is always unique. This is where you get to win over candidates and get them excited about working for you. If you want to show the culture of your company to the candidates before they see your office, videos are as good as writing a great job description. Obviously, you want to show the candidates how amazing it is to work in your organization. Vague Descriptions - Vague descriptions make it difficult for potential applicants to place themselves in a role and to decide whether they are qualified for the job and would enjoy the job. Being unrealistic - A job description should be an accurate representation of the track record required to perform the role, not an impossible wish list of every skill. Not all job descriptions are same. The perfect job description is neither too descriptive nor too vague, uses clear language and represents the essence of the company. 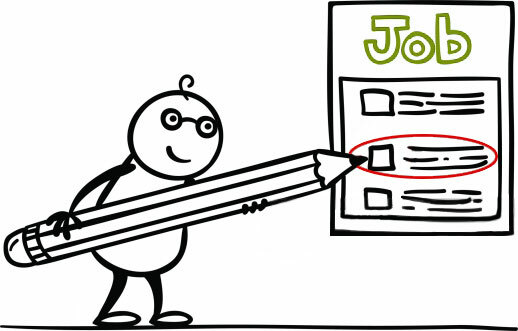 And once you have created the job description, no doubt, Interview Mocha is there to help you find top talent. Want to know how, Sign up.